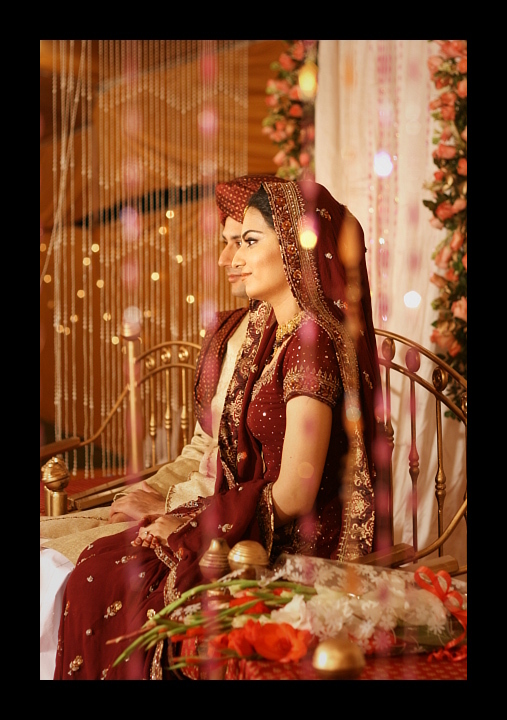 The biggest event of the week, the Shadi, was going to take place in the grounds of Nishtar Medical College, where Uncle Pervaiz was past principal. 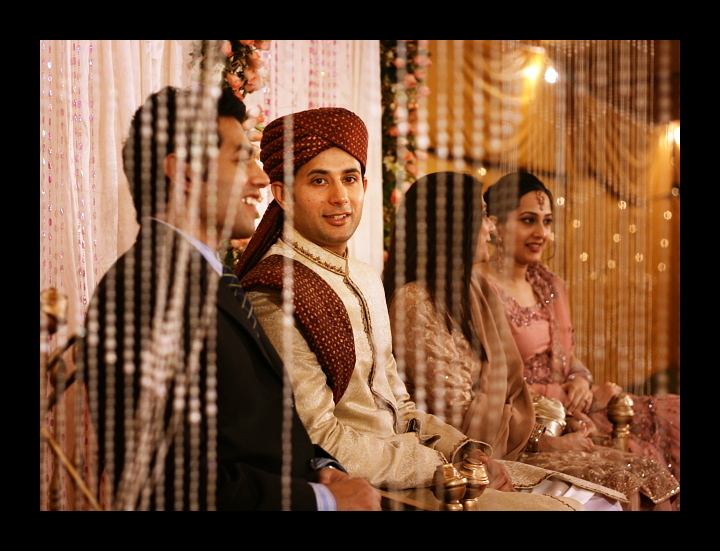 We all decked out and got ready, Maryam wore the outfit she wore on our wedding Haseeb and I wore suits, and Muneeb wore a Sherwani with a turban to match Rabia’s outfit. The first stop was Sinbad Hotel, where the Sehra Bandi was going to take place. 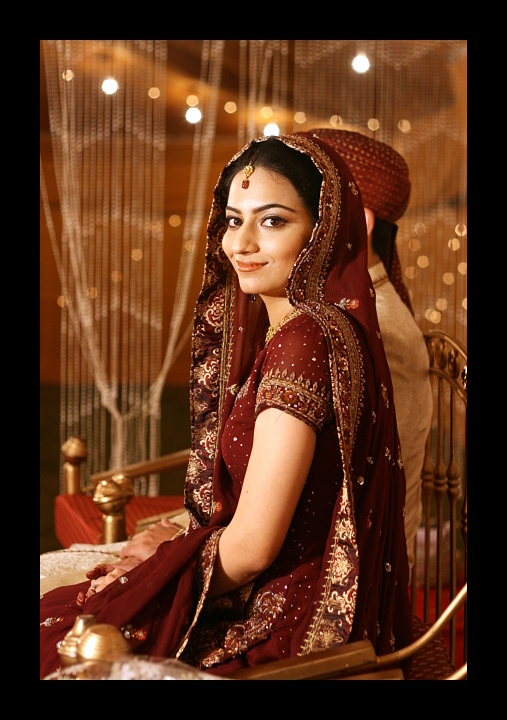 Sehra Bandi is a tradition where someone from the groom’s family wraps the turban on the groom’s head in preparation for the wedding, and again, gifts are given. 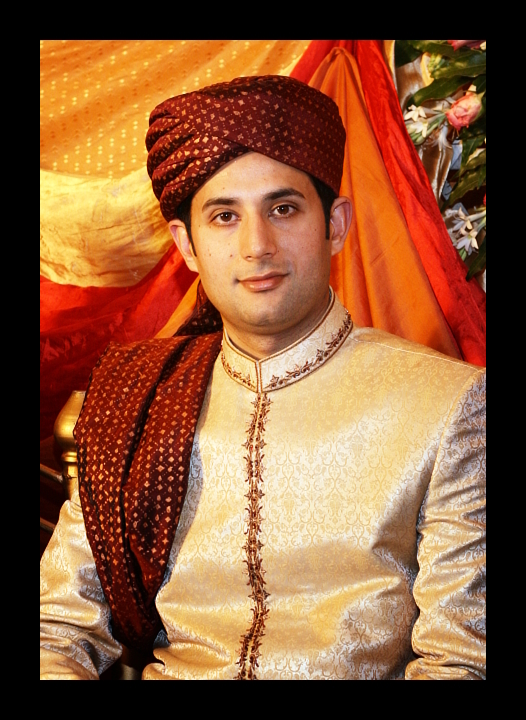 These days the Sehra, or turban, is already pre wrapped, so there is no need for wrapping part, but still someone usually places the turban on the groom’s head. 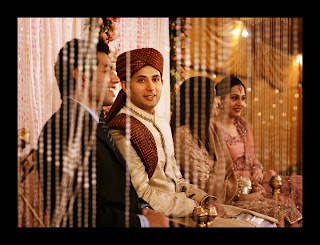 This was rather a short event, and we had a few appetizers/sweets before the actual shadi. 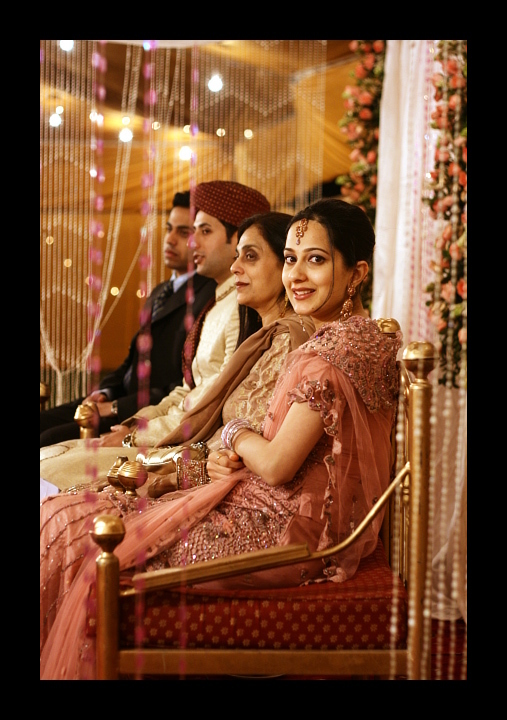 Then we headed on to Nishtar Medical College for the shadi. And OOOOOOOOO GOODNESS the place was DECKED OUT. Huuuuuuge tents, lots of lights throughout the quadrangle. Not only that, but lights on the main building as well! The above is actually three pictures , the building doesn’t curve at the ends like that but is straight across. I didn’t have my tripod to do a real panoramic photo, but you get the idea. The tents were huge, did I say that already? And the stage was awesome, with flowers and beaded strings on the sides that really added a lot of character to the pictures. And the tent… I didn’t really have a wide angle to capture the scale… This trip, I made do with my 50mm f1.8 for 99% of the shots, it really is a nice lens although at times limiting. Still waiting to jump on the Canon 10-22mm which would make a terrific lens for landscapes and such. Since the hired photographer was taking the “hi everyone look here say cheese” type shots, I tried to mix it up with some candid and pseudocandid pictures from a variety of angles. Especially incorporating those lovely beads! Being part of the family, I did have to relinquish the camera at few key moments like bringing the groom in, welcoming the bride, etc etc… but hey, that’s what the hired pro is there for! 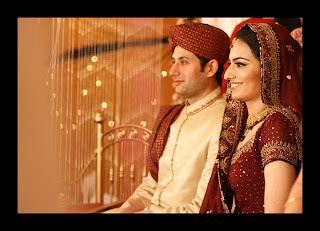 Muneeb and Rabia looked really nice together, and her outfit was amazing! A little photobabble: I was trying to avoid using flash to get a more natural look, which worked really well, with a few caveats. I shot in JPG instead of RAW because I did not want to run out of memory at an inopportune moment, so it took a little longer to get the color balance right during post-processing. The videographer’s light really made everything look red, and maybe in another post I will demonstrate a 1 minute color balance fix that works quite well when you don’t have a white card. Given the amount of light, my DOF was also somewhat limited, but I tried to use that to my advantage to isolate the subjects. Still, low-noise high ISO would have been nice for more choices, and I can’t wait to see what Canon comes up with in response to Nikon’s amazing new introductions (D3 and D300 for those who care). Funny thing is though, we followed them to the hotel, and hung out in their Executive Suite, eating, drinking, joking around, until someone decided we really should leave them alone! We were all exhausted from a long day, but everything was so worth it!